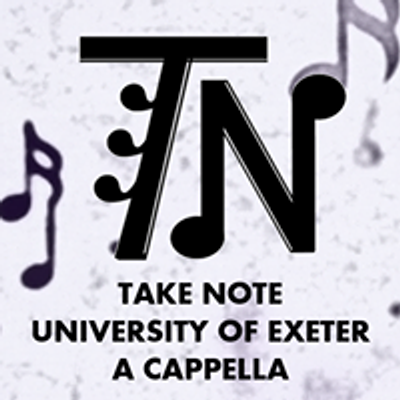 Take Note proudly (and excitedly) presents our first ever Take Note Showcase! ?? 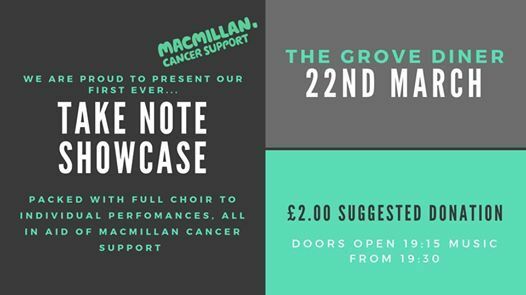 We want to present the talent of our wonderful members in an evening of individual, group and whole choir performances- all in aid of charity! ? 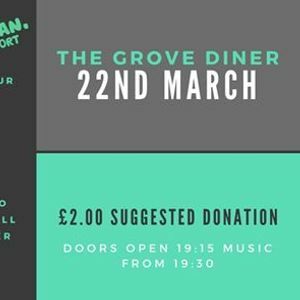 Tickets are not necessary, but we suggest a donation of £2 on the door, and money for any beverages you may wish to purchase, the bar is ours all night.....??? We can't wait to see you there, and click 'going' to get updates about the event! ?